Albert Lin’s practice focuses on complex litigation, with notable experience in financial services, securities and governance litigation, government regulation and enforcement, and appeals. Albert often leads teams in material litigation where liability exceeds $10 million or challenges a company’s right to do business. He works closely with clients to develop and implement a focused and cost-effective litigation plan to achieve excellent business results. These strategies vary depending on the client’s goals, and can range from pre-complaint settlement, pairing litigation with government advocacy, or decision at trial. Albert’s practice is informed by his understanding of government. As General Counsel to the Ohio Attorney General, Albert was the primary manager for securities litigation involving the State of Ohio. While with the A.G.’s office, Albert negotiated the resolution of two of the largest securities class actions in U.S. history, In re Marsh & McLennan Sec. Litig. ($400 million) and In re AIG Sec. Litig. ($1.01 billion). 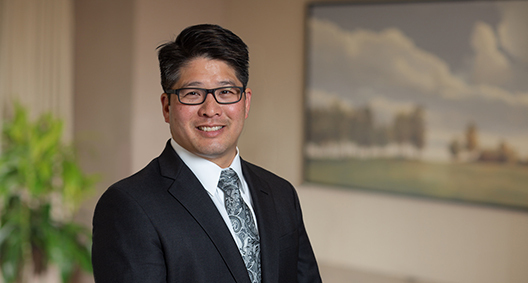 In private practice, Albert often works with local, state and federal officeholders to help achieve the client’s business goals. Represented hedge funds in complex securities litigation and fraudulent conveyance actions relating to investments in a Ponzi scheme. Case settled favorably. Represented large regional bank in multiple major bank fraud matters, including theft by a senior executive, stolen tax refunds and counterfeit checks. Enjoined dissipation of assets and successfully sought recovery from defendants, their assets and fraudulent conveyees. Defended mobile ride-sharing company in litigation seeking to prevent operation within major Ohio city. Coordinated litigation with lobbying efforts, obtained a favorable resolution and enjoined city from disclosing proprietary information to the media. Represented casino company in regulatory proceedings before Ohio Casino Control Commission and Ohio Lottery Commission, including casino licensure, employee licensure, administrative hearings and regulatory appeals. Represented casino company in appeals challenging constitutionality of gaming regulations in Ohio. Won 2017 “Best Brief” Award in the Ohio Supreme Court. Cases dismissed at the pleadings stage. Defended large financial services company in class action alleging consumer fraud and deceptive trade practices in management of mortgage loans. Primary brief writer before Sixth Circuit. Case dismissed at pleadings stage. Defended international vehicle equipment manufacturer in litigation brought by business consultant relating to competitive bidding process for global supplier base. Represented audit committee of publicly traded manufacturer in internal investigation relating to allegations of improper earnings management and accounting fraud. Represented government agency in litigation against operating companies in dispute over landfill that was not compliant with environmental regulations. Routinely provide regulatory advice regarding Bank Secrecy Act, consumer finance, gaming, public records, and other federal, state and local compliance. Represented international pharmaceutical manufacturer in multi-district product liability action in the Sixth Circuit. Case settled favorably. Led securities litigation team, which negotiated settlements in excess of $2 billion, and initiated shareholder claims against companies involved in the 2008 financial crisis.Cases include: In re AIG Sec. Litig. ($1.01 billion settlement); In re Marsh & McClennan Sec. Litig. ($400 million settlement); and In re Bank of Am. Sec. Litig. (case initiated; $2.45 billion settlement in subsequent administration). Oversaw investigation relating to allegations of criminal contempt and improper suppression of evidence arising under prior administration. Representing indigent defendants in trial, intermediate, appellate and Ohio Supreme Court proceedings, usually relating to criminal or government regulatory matters.